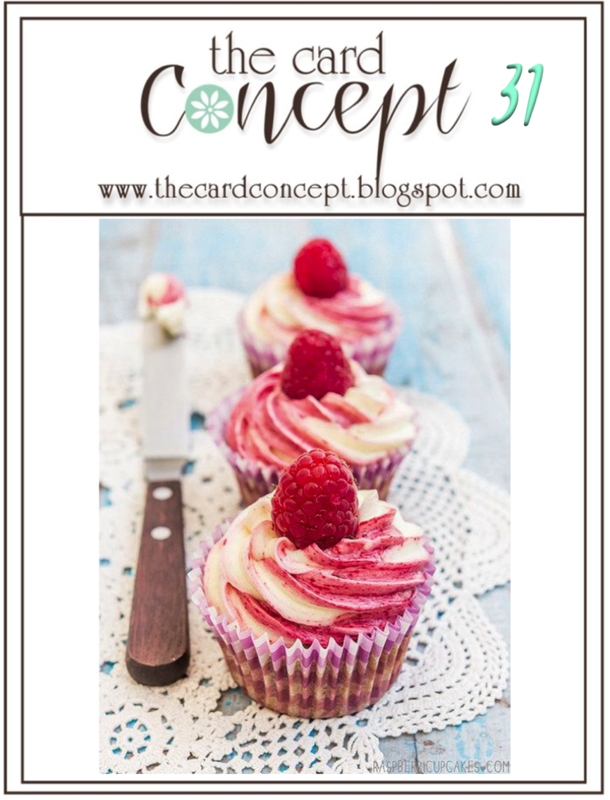 I haven’t used a cupcake on my card – mainly because I don’t have one that I felt worked for my shabby card. Instead I’ve taken inspiration from the pretty pinks in the frosting and berry. 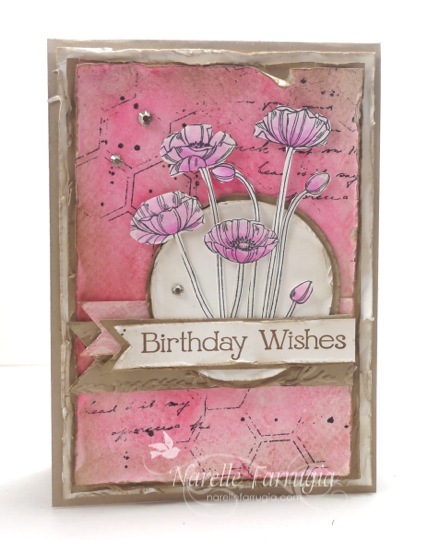 Head over to The Card Challenge and take a look at the fabulous inspiration from the Design Team. While you’re there, we would love for you to link up a card. It’s Sunday evening here in Australia and I’m just about to sit down and watch the Australian Open Men’s Tennis Final. Go Djokovic! I’ve combined today’s card for two challenges – Creative with Connie & Mary Challenge and My Favourite Things Wednesday Sketch Challenge. 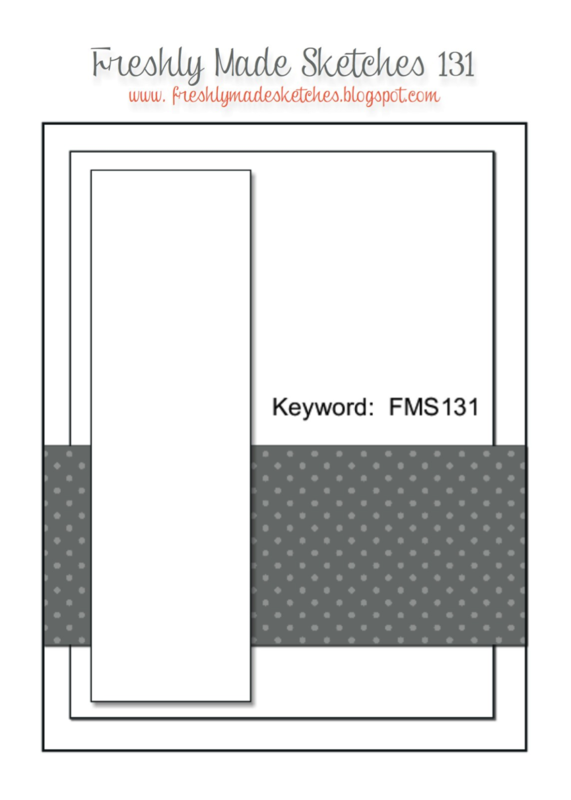 This weeks Freshly Made Sketches sketch is brought to us by the amazing talented Cindy Hall. 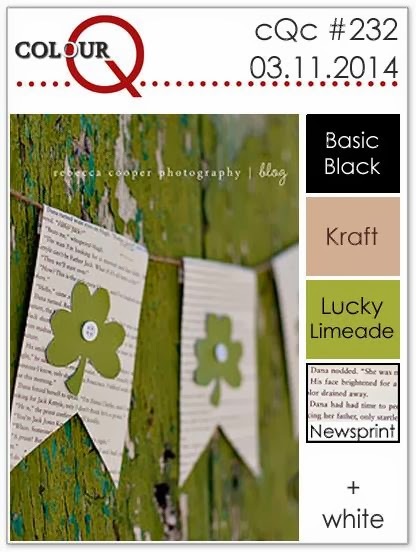 You’re going to want to head over to Cindy’s blog and check out her lovely cards. 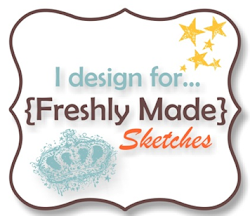 We’d love for you to join us this week at Freshly Made Sketches. 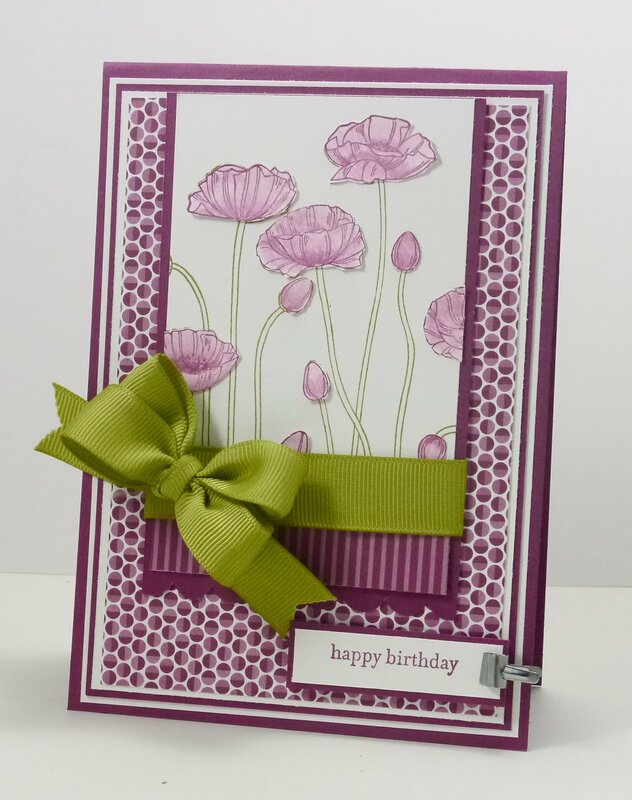 Head over to challenge and link up a card – while you’re there, check out the gorgeous inspiration from the Design Team. Crisp Cantaloupe is becoming a colour I want to reach for whenever I make a card lately. I’ve teamed it with Basic Black and and this striking Houndstooth DSP from Modern Medley. 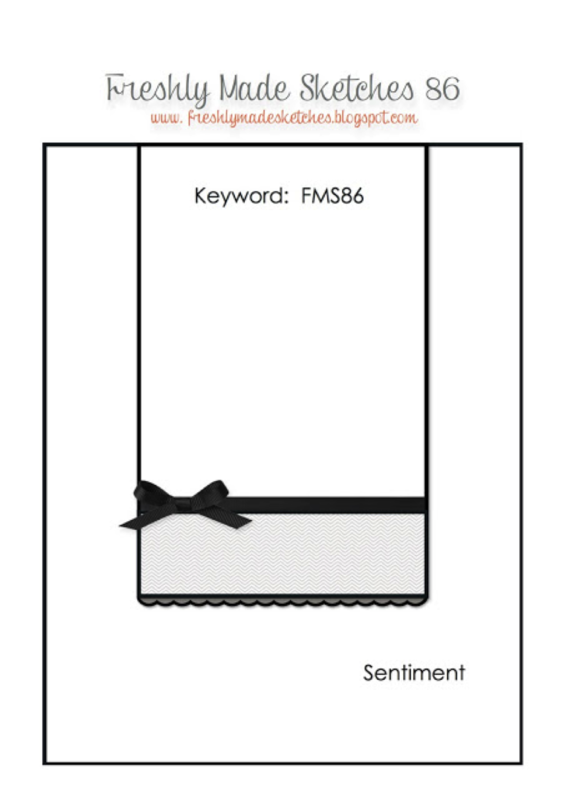 I haven’t used much of the Crisp Cantaloupe ruffled ribbon as I wasn’t too sure how to make work it on my cards, so I just tied a it in a double bow this time – I have to say that I don’t mind it tied like this. I’ve stamped the poppies from Pleasant Poppies in the background and stamped the sentiment from Field Flowers over the top. To finish my card off, I added some butterflies from Kindness Matters. 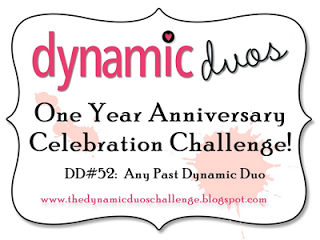 I thought I would combine my card for FMS with the Dynamic Duos One Year Anniversary Challenge. 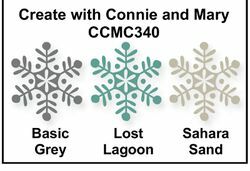 Their challenge is to use any of their past colour combinations. I chose Rich Razzleberry & Old Olive – love this colour combo together! 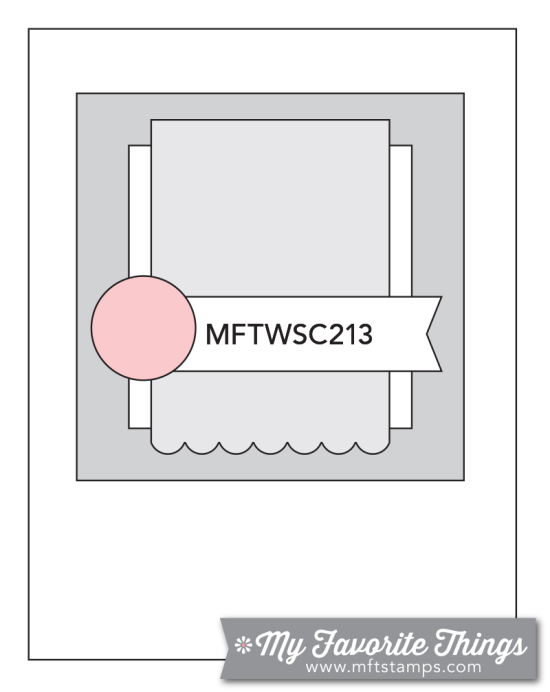 Head over to Freshly Made Sketches and you’ll find the most gorgeous cards from the Design Team this week. 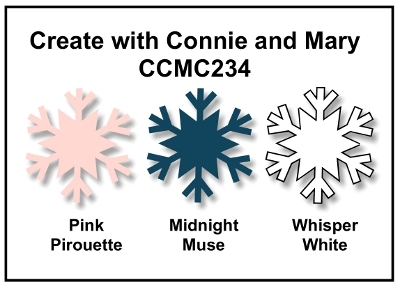 We have a pretty colour combination for you over at Create with Connie & Mary this week – Midnight Muse (my favourite blue at the moment), Pink Pirouette and Whisper White. 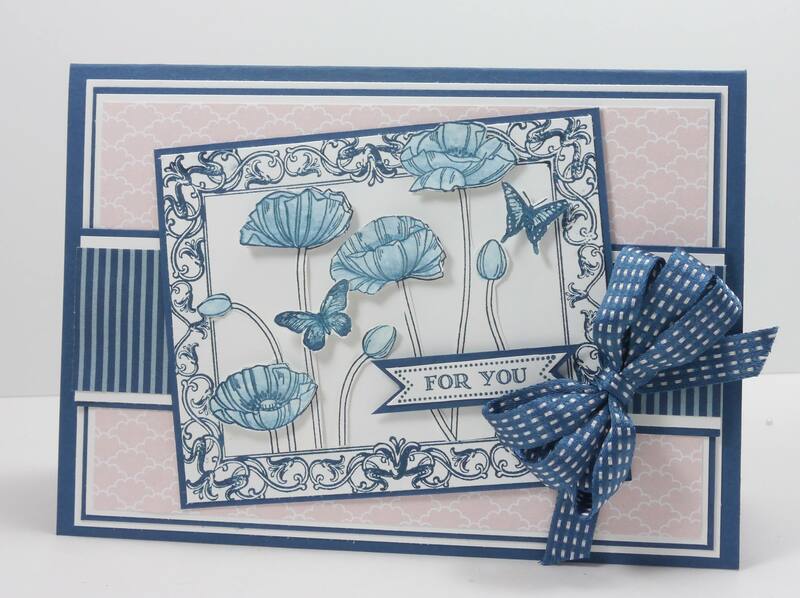 I gone with blue poppies again (even though I don’t think there’s such a species of flower) and dancing butterflies. I’ve stamped the frame from Papaya Collage and tied a triple bow (not sure how that happened – is it too much?) although I probably meant to tie a double bow. I then added two butterflies from Kindness Matters that I coloured with my blender pen. My sentiment is from Itty Bitty Banners. We’d love to see what you create with these colours – head over to the challenge and check out the gorgeous inspiration the Design Team have created.